3. List the award rules so your nominees know what to do. 1) I believe most words are animate life-like beings that have a face and a tongue. Consider words such as epiphany, torrential, drizzle, cacophony, saucy, putrid, and colorful. The mere mention of these words brings to mind a vision of their meaning. It’s like they magically conjure up and speak their meaning out. 2) I have too many hobbies and have ignored them for too long. All that is going to change this year. 3) I enjoy reading and learning and truly mourn the closing of so many wonderful bookstores around me. I have nothing against digital eBooks but nothing compares to the joy of being able to curl up to a book with a nice cup of tea. 4) I am a novice writer, and am hoping to learn from other more serious bloggers. So please share your constructive criticism. 5) I love all things beautiful; photography, works of literature, art and food! 6) While I have always loved my parents, the older I have gotten, the more I have grown to appreciate them. Thanks Mom and Dad for being so perfectly you! 7) I believe in conspiracy theories and stories of all kinds. If you have a good story to tell, you have an audience in me for life. 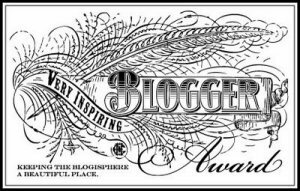 Thank you for nominating my blog ARCH diary! Do really appreciate that! You are very welcome and totally deserve it. Congrats! Now go to your Dashboard. Appearances. Widgets. Paste that URL into the second widget block that says “image URL” Press save. Now go to your blog and refresh, it should be there. Thx for these helping words. Clueless is my middle name. Will give it a try. :). Happy posting. Thank you, Ubecute, for the nomination. More than awards I like it when people stop by and read my posts. Thanks again. Thank you so much for the nomination Ubecute, and congratulations on your own! I really enjoyed to get to know you a little bit better 🙂 Keep up the good work! Thank you and same to you. Needless to say truly inspired by your beautiul blog. Cheers. Some parents are not as fortunate as your parents. You thanking them and appreciating them makes a world of difference. It is nice knowing you and I am glad you stopped by. Thank you. Meeting you again and to know you like my post is even more superb. Thank you for stopping by. a lot up very fast! What web host are you using? Can I am getting your associate link to your host?